If you are looking for a quality roofing company that can easily handle repairs, replacements, or installations for commercial or home roofing look no further. At Re-Design Roofing we are roofing contractors ready to provide you with superior roofing services in South Jersey and Cherry Hill, NJ. We give all of our clients great services at fair prices. Our staff takes the time needed to detail roofing services so you understand what it takes to perform the service so we can be out of your way in a short amount of time. We only use the highest quality of products for all of our roofing services including a roof repair, or a roof replacement. 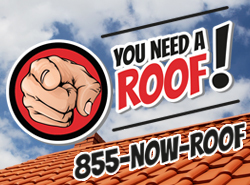 We’re the roofers you should call when you need a roofing estimate. When it comes to roofing companies, you can rely on us to have your best interests at heart. We provide commercial and residential roofing services guaranteed to meet your needs, no matter the type of roof you require. All of our employees have been trained concerning our exact procedures so you get perfect results, every time. You won’t have to worry about the safety of your family either, we provide full clean-up services including using magnets to pick up nails. We’re highly skilled roofers and we’re good at what we do. If you need emergency roof repairs we’re ready to tackle the job. We’re available 24/7 so you get the roof repairs you need, exactly when you need them. We ensure your property remains safe and sound. You don’t have to worry about insurance claims either. 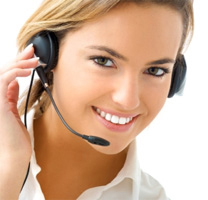 We will handle your insurance claims so you remain stress-free. You can rely on us to document everything and to meet with your claims adjuster to ensure they are completely aware of damages. Contact us to speak with an associate about roofing estimates for repairs, replacements or roof installations. We’re ready to answer your questions and ensure you’re protected today. If your roof has been damaged by hail, high winds or rain from a storm, or a tree falling over, you can call us around the clock for emergency roof repair. Our roofing company is available around the clock to provide help when you need it most. From emergency tarping to structural repairs, we will handle it all to make sure you and your property are safe and sound. When it comes to commercial properties, our roofing contractors can repair, replace, and install shingle roofs. If you have a business with a shingle roof, we?re the roofing company to trust it to! We?ll handle each project from start to finish. Whether installing, replacing, or repairing your roof, our staff will take expert care of your property. From helping you choose the style, colors and materials you want used, to doing a perfect installation and cleanup, our teams will take care of every detail! Call and get your free estimate now! If your home or commercial roof has been damaged by a storm or other natural disaster, chances are your insurance company will cover it. The chances are also good that it will be a complex and messy process that most property owners don?t want to deal with. That?s why we offer our services; to make sure your roof gets the help it needs, and to push through your claims for you, stress-free. Our roofing contractors will make sure everything is perfectly documented, and will even meet with the claims adjuster to ensure they see all the damages. If your property has been damaged, call us to get help with getting it fixed! 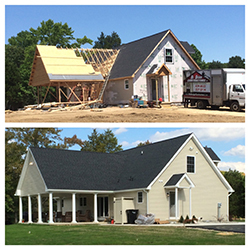 We are a full service roofing company in Mullica Hill, Deptford, Cherry Hill and all of South Jersey.